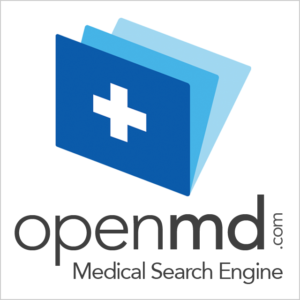 My friend Lukas Zinnagl at Medcrunch recently posted The Chopped Physician. It’s a short piece on the evolving role of the physician. I’m not sure that I agree with Lukas’ division of responsibilities but that’s not important. What’s important is that things will soon enough be really, really different. It’s important because the next generation will witness a redefinition of the physician never before seen. We need to think about what’s coming. Lukas used a chopped physician analogy. I would have pureed the profession and studied the layers as they settle out. But that’s just me. Doctors used to do everything. But now, no doctor does everything. We like to tell ourselves we can do everything. Our patients think we can still do everything. That’s where the problem lies. Doctors used to be able to learn what was known about medical science inside of a couple of years. And doctors used to be able to keep up with advances in our fields by quaintly ‘catching up on our journal reading.’ Not so much anymore. The way doctors train, think and work is unsustainable. Ultimately how we think, work, share and define ourselves will need to change. That’s why we’ll be chopped. Or pureed. Few doctors like being chopped. To some, it questions our relevance. But what few are able to see is that we’ll always be relevant, but in ways that will only become evident over time. I suspect things will appear worse before they’re better. Lucas’s simple post is important because I don’t think we spend enough time looking at what’s happening around us. We need more dialog about how we need to actively evolve. We need medical educators to think about the physician and the patient of 2030. We need less dialog about medicine in the old days. We have a couple of choices: We can shape our profession or let it be shaped. We can reshape or be chopped. But as time and progress sweep us forward, I suspect we’ll be chopped. Image is via Hamilton Beach. 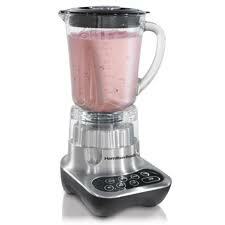 Inside the blender are the pureed remains of MedCrunch co-founder, Dr. Franz Wiesbauer.